All American Episode 11 Recap: "All Eyez On Me"
This week’s episode was all about the District Combine, an annual event for high school football stars to strut their stuff in front of perspective boosters with hopes of achieving their NFL dreams. On the field, Coach Baker introduces Damon King (Hosea Chanchez), a recruiter for Angeles Southern University, and his former teammate to Spencer and Jordan. The next day, Willie (Brent Jennings) makes an uninvited visit to Beverly Hills and basically discourages Jordan about his ability to impress scouts. At the Combine, Baker and Olivia are laying shirts out for the recruits and Baker admits that he’s more concerned about Spencer earning a scholarship. I understand that you could pay for Jordan’s tuition but have more faith in your son! He’s been feeling inadequate since Spencer’s arrival and he confronted you about it multiple times!! As for Asher, Baker was less than enthused about him showing up, so he tossed his shirt in a tote. Once Baker walks away, Olivia pulls it out of the tote and it cuts to her finding Asher sleeping in his car. First, what happened to a simple montage??? She just knew where he was??? Then she was surprised that it was Asher??? Anyway, Olivia tells him about the Combine, which he forgot about, and she gives him the shirt. Of course, Asher gets excited but he’s nervous about the recruiters finding out that he’s no longer part of the Beverly Hills Eagles. Still Olivia tries to lighten Asher’s mood by advising him to look out for his future and to take a much-needed shower. Do friends like Olivia still exist? I mean she’s the only one really pushing him. While in Crenshaw, after Spencer discovers that his mother, Grace, put off school to help pay for his tuition, he argues with her about it. Spencer, you can’t handicap your mother because helping you is part of her mission in life, even though you try to be self-sufficient. Sometimes I feel like Spencer should see a therapist just to air out his mind because he worries so much about everyone else that he sacrifices his wants and needs. On the other hand, don’t we imply that young men should be more self-reliant and supportive? In certain situations, Spencer is a dream come true but he can be overwhelming. I’m starting to realize the unfairness that young men have to deal with compared to young women. The expectation to be a man before understanding what a man really is without an upstanding father figure is difficult. 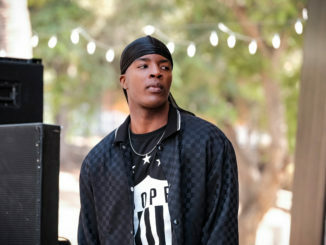 Finally, the Combine begins as King strolls in before giving a subtle introduction to the four recruits from Crenshaw which included Olivia’s boyfriend, Chris, and Spencer’s rival, Cameron (Mitchell Edwards). Suddenly, Asher comes running in just in time for the first test. With Cam in the mix, Spencer couldn’t concentrate and Baker confronts him about his performance after he loses a head to head race against Cam. Baker warns Spencer about allowing the other players to set up challenges to make him look bad. I mean duh, Spencer is the star. Every player there wants to make Spencer look bad, I feel like he should’ve been more aware of that. The recruiters start handing out invitations to the 7 on 7 scrimmage to players that they’re interested in. Sadly, Chris loses his spot to Jordan and it pisses him off. Chris points out Jordan’s privilege of being Baker’s son, he’s not that good of a player but his fits the overall package that scouts look for. Jordan knows this and it hurts his confidence even more because others are starting to take notice. Cam is among the invites as well but the recruiters don’t believe he’s that good of a player. After the Combine, King offers Baker a position as one of the coaches for ASU in addition to accepting Spencer if he chooses to play for them. Baker wastes no time showing interest but he knows there’s a catch. King calls it a ‘package deal’ if ASU gains both of them. The catch is, they’re only interested in Baker coaching Spencer specifically because they feel like Spencer is trouble and they want Baker to keep him in line. However, as Spencer sits outside and looking depressed, the head coach of ASU, Hanson, personally hands him an envelope with an invitation to the 7 on 7 scrimmage. Spencer is elated of course and since his mother has put off school, he thinks ASU would be a better option for him. Also, Asher gets an invite to the 7 on 7 scrimmage and he shares the news with Olivia when she finds him sitting alone on the sidelines. Olivia and Layla arrive at Layla’s house. As usual, Layla is at home alone but why won’t her father just pay for her to live in an apartment? I get that he needs somewhere to stay when he comes home but he’s never there! Also, Layla isn’t the party type – she doesn’t even host gatherings – so she’s always alone in that big house. Anyways, she questions Olivia about giving too much attention to Asher instead of Chris since he’s her boyfriend. Olivia doesn’t see anything wrong because she’s helping her friend. Layla points out that it is a little unfair. Honestly, the only relationship that I believe in is, Patience and Coop but they weren’t even in this episode. I don’t even believe that Layla and Spencer have a real relationship. Neither does Laura and Coach Baker – yeah they’re married but she’s barely part of the story, at least show her at work if she’s that busy. So, since Olivia basically treats Chris like a third wheel, I have no empathy except to agree with Layla. Unfortunately, Grace doesn’t accept Spencer’s choice when he tells her the news. He’s dressed in a tuxedo for the evening’s cocktail party with the recruiters, I guess I’ll call it that since I didn’t catch a name for the gathering. Anyway, they argue again about their choices and they’re still at odds. Grace wants Spencer to reach for the stars but he’s too occupied with her future. Spencer is just being bullheaded at this point. I really want to see him do something for himself for once. It’s okay not to be in control all the time. Spencer is frustrated and ends the conversation by going into his bedroom. He grabs the invitation from his night stand and finds $2,000 inside. Spencer realizes that Hanson is trying to bribe him. At the party, Spencer runs into Cam and he wastes no time flashing his new watch. Spencer tries to warn him about what’s going on but Cam is fully aware and he doesn’t care. So, Spencer calls over Hanson and tries to give the envelope back to him but he won’t take it back. Instead, Hanson calls it a gift and says it will help Grace pay for school. Spencer isn’t stupid and he knows something is wrong. Asher finds Coach Baker in his office and attempts to admit his mistakes but Baker’s patience is thin. He informs Asher that Olivia sees potential in him and that he should focus on proving her right. During the party, Asher finally takes accountability when he confesses to a booster that he got himself kicked off the team. Way to go Asher! Spencer tells Baker about the $2,000 so Baker confronts King about it. Basically, it was a set up to control Spencer if he took the scholarship with ASU. Baker brings up the fact that giving bribes jeopardizes the futures of the players and their families. King turns it back on Baker and says only his and Spencer’s futures are in jeopardy. Baker drops the envelope on a waiter’s tray and King takes away his offer for the position and Spencer’s possible scholarship. This is wrong. What 18-year-old is going to turn down money or expensive gifts from their dream team – or any team – that they believe were impressed by their abilities? It makes me question how music executives recruit young black artists – all of them wear big, heavy, blinged out jewelry and they have stacks of cash. To avoid any further interruptions, Baker pulls Spencer out of the 7 on 7 scrimmage. Spencer isn’t too happy about the decision but eventually, he understands the reason. While taking a walk, Chris finally gets to talk to Olivia. At first, Olivia has to beg him to say something because he’s hesitant but eventually he tells that he wanted her support. She goes on and says her recovery from drug addiction helps her understand others when they struggle. She does whatever she can to help, just as her family did for her. Then Asher calls her phone, Chris is laid back about it but his face says everything. I think Asher and Olivia will end up sleeping together again and Chris fears that outcome. In general, no one wants to feel like a third wheel to their partner. If this goes on for too long, Chris will cause some friction and he might break up with Olivia. Spencer is heartbroken because his plan fell apart and his shot was just pulled from underneath him. He couldn’t help but hang his head down as he made his way towards the exit. Grace runs in and tells him that Baker told her what happened. She admits that the whole situation has made her realize that they can’t continue to cut themselves short and he should take charge of his destiny instead of playing the silly game brought on by recruiters. Grace’s encouragement reignites his confidence. Olivia arrives in the boys’ locker room and sees Asher crying. She’s confused until Asher tells her he got his back on the team because of what he did at the booster party. Olivia is proud and she tells him that she has a place for him to sleep. Out on the field, Jordan keeps getting made fun of by Cam and it’s really bothering him. Baker makes the mistake of patronizing Jordan. He lashes out and accuses Baker of not pushing him hard enough. Spencer approaches them shortly after and encourages Jordan to have more confidence which causes Baker to put them in the series. Baker threatens King about going to the NCAA and having his title taken away for bribing the players. Baker leaves King stunned with fear. The next day, a video of the scrimmage goes viral. Baker realizes that it’s the reason why an NCC recruit called him so early. Olivia attempts to convince Layla to allow Asher stay in the house and Spencer is surprisingly okay with it. Layla reluctantly agrees. Jordan goes back to Willie so he can coach him. I really don’t like Willie, he’s a freeloading conniving character. 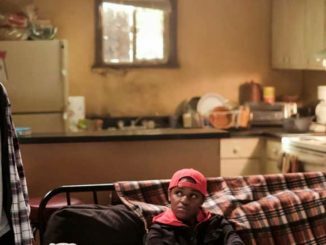 Asher arrives at Layla’s house and he attempts to smooth things over but she directs him straight to the guest room. In Crenshaw, Grace announces to Dillon and Spencer that she has signed up for school. She goes on about how they’re going to have to make adjustments. Spencer and Dillion have already made arrangements because they knew of her decision. 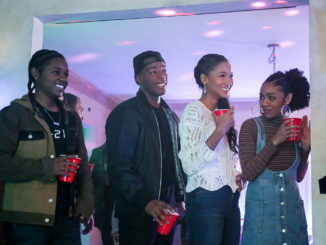 All American RECAP Episode 8 ‘Homecoming’: Friends, How Many of Us Have Them? 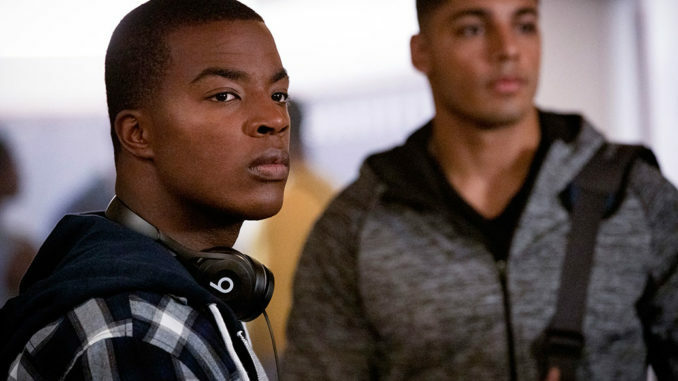 December 12, 2018 Nicole Baxter Recap, TV News & Program Updates Comments Off on All American RECAP Episode 8 ‘Homecoming’: Friends, How Many of Us Have Them?